You don’t have to have completed a book or even read a book to join us! Feel free to join us for the fellowship and discussions. 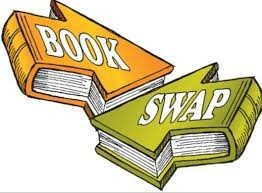 The Book Swap allows us to explore and expand our faith through prayerful reading. If you think you might be joining us, contact the church office (chrc1834@gmail.com or 908-369-8451) and let us know what book you plan on reading/discussing or if you are just coming to hear what others are reading. We also help expand our library by donating books that we have read (and purchased). Check the calendar to see when we meet next and check out the Belltower to see what some of our favorite books are.